Join us at Aspire on February 21 to meet with our leadership to and discuss our open positions. 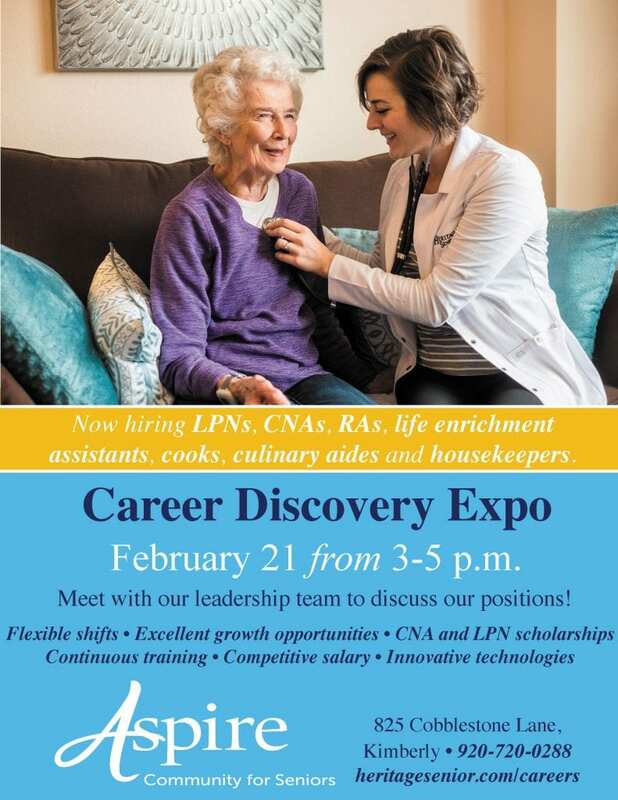 We’re now hiring LPNs, CNAs, Was, life enrichment assistants, cooks, culinary aides and housekeepers. Learn about our flexible shifts, growth opportunities, staff scholarships and more!